These “mini-me” inspired baby boots, made of grey suede and featuring white faux fur, will keep your baby warm all fall and winter. These faux fur lined leather boots come in a variety of colors: Brown, Pink and Grey. My new walker loves these boots. They are the only warm-ish shoes he could still walk well in, and for a while, the only ones he'd allow us to put on, when it was too cold for his regular Robeez. I wish we had realized Robeez had a boot before trying ~4 other pairs when the weather turned cold. These boots fit great on our19-month-old granddaughter. She is confident walking in them and doesn’t stumble. I’m bummed that these don’t fit. All the shoes i have ordered have fit my son, between 6-12 months,, but they don’t stretch at all around the foot. They were too tight to get my sons foot into. Also bummed Robeez’s doesn’t have an exchange policy i have to return then and do a whole new order. These boots are adorable but I had to return them and order a size bigger because of the fur lining. I had already ordered one size up to allow some growing room with my last order so this will be 2 sizes up. I hope the 18-24 month size fits my 11 month old chunk (26 lbs). I really hope the larger size works for us because I love the style and they look great in person. Ordered these because I thought the boot style would keep them on his feet, they stay on for about two minutes before they fall off. Super cute, but aren't staying put . I got 12 to 18 months for my 13 1/2 month old, not sure if they are too big or if it's just the fit . A little disappointed. The Galway is a sweet little boot but runs smaller than the the soft soles shoes and The Classic Boot. 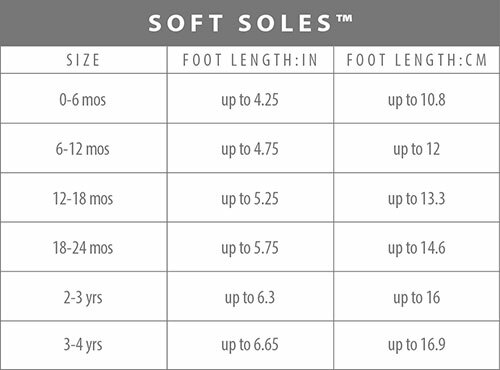 My son has larger feet (for his age), but the 12-18M in this model would probably be better for most babies 6-12M. Because the instep does not contain elastic, it is probably more supportive through the ankles but has no give for larger feet, unlike other models. The Velcro opening does offer an easy-on option and a secure way to fasten the boots, so no slipping off, and again better stability around the ankle for more support or slender feet. The suede is soft and this grey colour combo is lovely.